Gossip is rumors about the private affairs of others. The gossip was that the couple was getting a divorce. 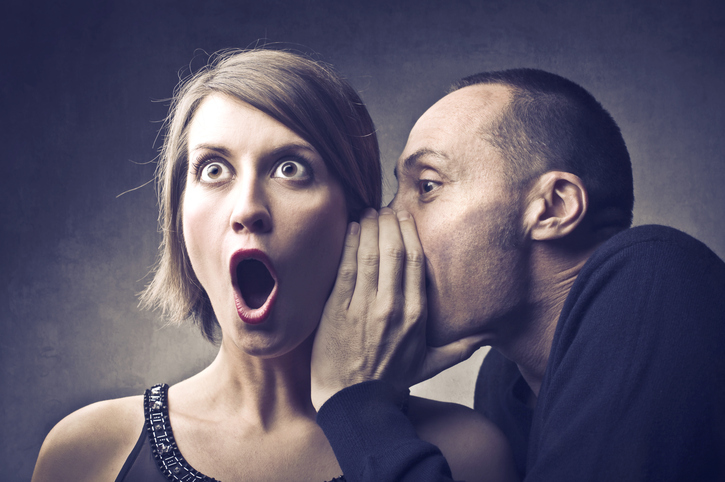 Avoid gossip and stick the verifiable facts when you write the news article. A gossip is a person who tells rumors about other people. Ignore what he says about you; everyone knows he's a gossip. The old school friends met for lunch and gossipped about their former classmates. A gossip magazine reports personal stories about famous people–usually movie stars. Sometimes the stories are true, other times they are not. Gossip Girl is a TV show about very rich teenagers in New York. It is narrated by an unidentified girl who knows all these people. You could say that she is gossipping about them. Watch the trailer for Season 1. There are other meanings of gossip.